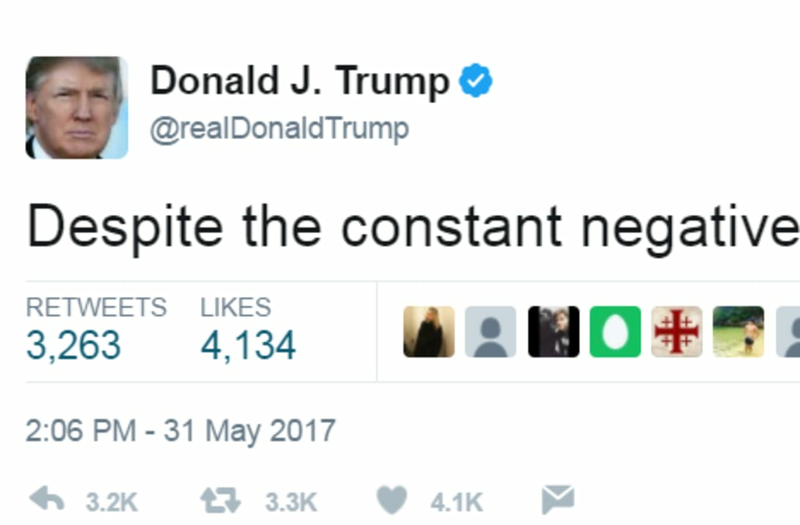 "Despite the constant negative press covfefe," the tweet read. The president didn't say anything else before or afterward, which left social media wondering what this meant. Never felt as left out as I do waking up and trying to figure out wtf #covfefe is...and I survived Christian middle school as a nerd girl. covfefe dot com is taken! I laughed at #covfefe & then I remembered @realDonaldTrump is rolling back civil rights of Americans all while being investigated by FBI. "Who can figure out the true meaning of 'covfefe,'" the president asked, "Enjoy!" A definition popped up on Urban Dictionary soon after: a typo for "coverage." Whether it's correct, though, is unknown.